Imagine a world where your car takes you to where you’re going and drives away to go and park itself. Imagine a world where your car using its own digital wallet pays for parking, completely on its own. The future is bright and we are only getting started at PARKGENE. PARKGENE is a decentralized ecosystem where parking owners and drivers meet to conclude short-term or long-term parking rental contracts. 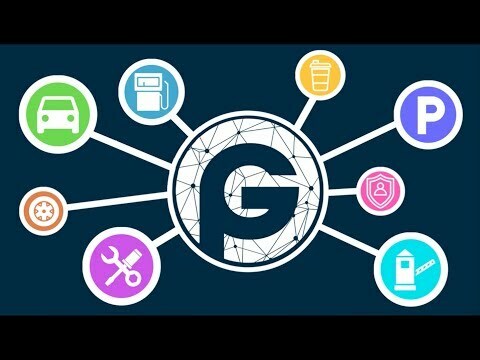 PARKGENE, based on the Ethereum Blockchain combined with smart contracts, will eliminate the dependence on centralized systems between the transaction participants, and will significantly reduce the cost of parking for drivers, while offering an alternative source of income to parking owners. PARKGENE provides innovative approaches, openness, convenience and ease of use to enable the parking industry and its stakeholders to raise the quality of urban life to a whole new level. The ecosystem will be of interest to individual, professional or municipal parking owners, who are engaged in offering parking spaces, as well as to the drivers. PARKGENE will create the most comfortable and straightforward conditions for all platform users to achieve their goals. Furthermore, due to its decentralized nature, PARKGENE will offer all the tools to customize and streamline all operations according to specific needs and requirements. We believe that over time PARKGENE will offer a valuable solution not only in Western Europe and North American markets, but also in other markets around the world that face congestion and parking problems, providing a viable alternative that can help improve the entire parking industry. PARKGENE PTE Ltd is incorporated in Singapore and is wholly subsidiary of PARKGURU LTD (UK), a company that owns and operates an advanced omni- channel parking booking service (https://parkguru.com). Today, PARKGURU’s applications provide booking services and detailed information on millions of parking spaces located in Europe and North America. The introduction of PARKGENE will create an operational fork. PARKGURU will remain focused on providing on-street and off-street parking, sourced by municipalities and professional parking operators (garages), while PARKGENE will be a new product focused on efficient decentralized peer-to-peer parking for individually owned driveways and home garages. Whitepaper needs updating - more information.